Juniors (Ages 11 to 18): Mondays - 5.30pm to 7pm, Wednesdays 5.30pm to 7pm and Saturdays 9am to 11am. New junior members can try out rowing at any training session. Seniors (Ages 18 to 100): New members: Tuesdays 6pm to 8pm. All other seniors see training timetable. 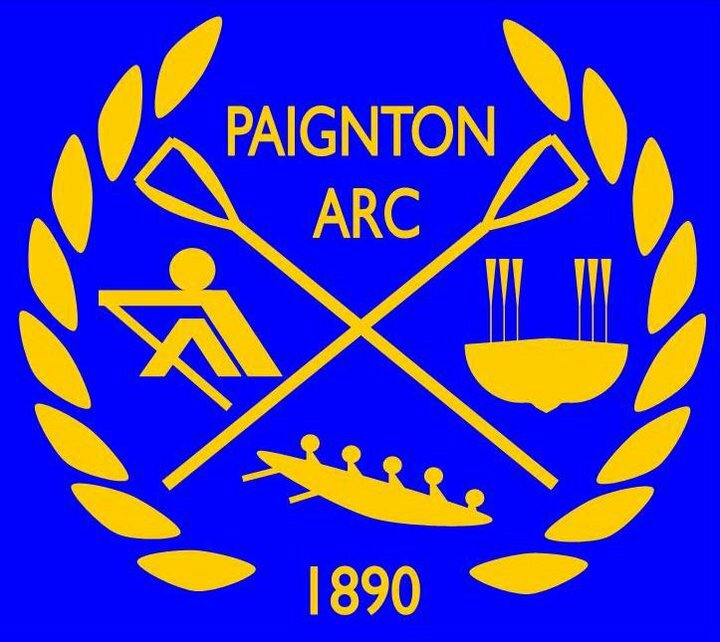 Paignton Amateur Rowing Club was established in 1890. The club raced in river boats, slightly wider than conventional skiff racing boats, around the South West. The club has a long history competing in the South West, being a staple club in all regatta meetings. The rowing club has four skiff quads, two skiff doubles and 5 single sculls. Paignton has long been known for its involvement in the training of young rowers. With a large number of junior rowers the adult side has suffered in recent years, but slowly and steadily the men and women's crews are growing. At regattas Paignton are clearly visible on the water thanks to our racing colours of old gold with a royal blue stripe. So cheer us on! In 2007 the club invested in a Cornish Pilot Gig training boat and christened her 'Evans Above'. The boat was named after Michelle Evans, the club treasurer who sadly and suddenly passed away at the age of 42. In 2008 a second gig was purchased named 'Top Catch' and in January 2010 a third gig arrived named 'Storm'. The gig rowers are well known for attending gig regattas throughout the South West and usually being the loudest and most unforgettable! Every year the two racing gigs are taken to The Isles of Scilly to race in the Cornish Pilot Gig World Championships. In 2010 the club became the first club in the country to offer five types of rowing, by purchasing a FISA class coastal rowing boat. The FISA boats are rowed in the sculling style but are much wider and hence more stable for coastal rowing. Paignton offers; Skiff, Gig, FISA coastal, Coastal and Indoor rowing. Paignton is a warm and friendly club and new members are always welcome. So what are you waiting for? Come find us and do some rowing!